New readers to the series won't feel lost and existing fans will feel right at home. There's everything that made the first book so popular: action, adventure, excitement, tension, dragons, and a familiar yet different fantasy world... It's easy to relate to the main characters, which draws the reader in and really has them rooting for the goodies from page one. 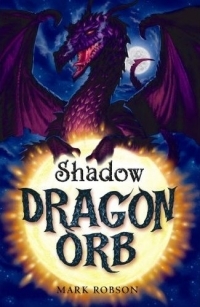 ...it was worth the wait... Dragon Orb: Shadow is written as skillfully as the first and moves along at a much greater pace.